Yager recently took a hit with the cancellation of Dead Island 2, but that hasn’t stopped the staff there from living their dreams of making games. Three ex-Yager staff have gone on to set up their own Berlin-based indie studio: inbetweengames. Looking for some great non triple-A games? Try our list of best indie games on PC. 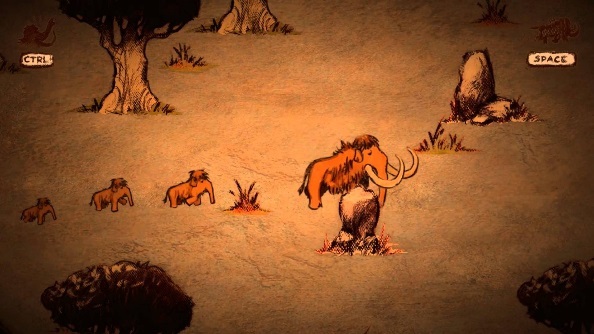 Made up of Isaac Ashdown, Jan David Hassel, and Rafal Fedro, inbetweengames will start their life on the indie road by releasing a mobile variant of their Ludum Dare 33 project, The Mammoth: A Cave Painting. From there, things get a little more mysterious. The team are working on a ‘super secret future project’ that they refuse to divulge any information on, other than it will be released Fall 2016. The factsheet provided on the game has every paragraph blacked out like a redacted FBI document, but the multiple platforms in the list suggests a wider release than their mobile-only first project. All three of inbetweengames founding members worked on Dead Island 2 and Spec Ops: The Line, providing them with a solid portfolio of big-budget experience. As ever, it will be interesting to see where they go free from the reigns of big company bosses and publishers.